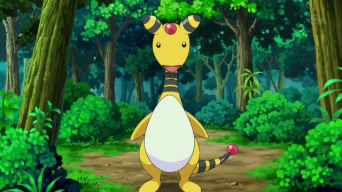 The first time I ever had an Ampharos was in Pokémon Heart Gold for the DS, and I absolutely was not happy that I caught him. Yes, my first Amphy was a him, but all of the ones since have been a her. The reason I wasn’t happy to have caught Amphy, was because I had caught him simply to beat the Flying-type gym leader of the Johto region, Falkner. Big shocker, my Grass-type Chikorita, with a weakness to Flying-types (as all Grass-types have) was making me lose every time I challenged Falkner. I had resolved that this time playing through a PKMN game, unlike last time in PKMN Black, I would not simply catch PKMN around the gym to help me beat the gym leader, and then hardly ever use them again. So, obviously, when I finally caved and caught a Mareep (Amphy’s first form) outside of the gym, I wasn’t the most happy with myself. 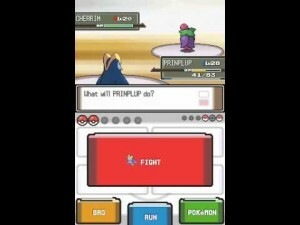 And of course this new Mareep of mine only knew one Electric-type move, Thunder Wave! For those of you who don’t know, Thunder Wave is a status move that paralyzes the opponent and does absolutely no damage, which made Mareep of almost no use to me. Note I say almost. Since I knew that eventually Mareep did learn offensive Electric-type moves, and I was completely fed up with trying to beat Falkner without Amphy, I decided to just train him until he learned an offensive Electric-type move so I could beat the bird brain once and for all. Once I’d put the time and effort into training Amphy, though, I started to find that I just couldn’t take him out of my party. He soon became my strongest PKMN, and with my Meganium (the final evolution of Chikorita) continually proving that one should not choose a Chikorita as a starter PKMN in Heart Gold, Amphy became more and more key to my adventure. However, my poor Amphy’s story does not end well. As some of you may know, the PKMN Heart Gold and Soul Silver games came with this device called a Poké Walker, which you could send one PKMN to and use it to play some mini games. 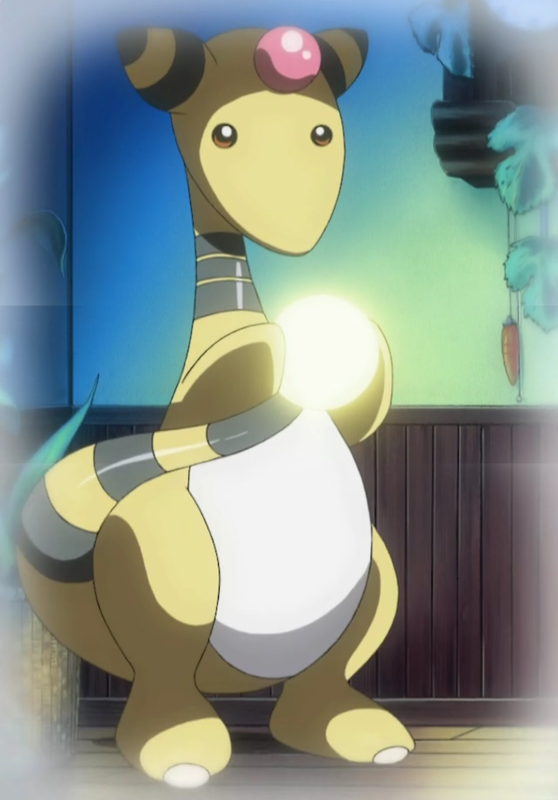 Unfortunately, I had the “brilliant” idea of sending Amphy to the Poké Walker and restarting my game, so that I could start over and still have him. That, my friends, was my critical mistake. I learned, unhappily, that my sneaky plan had failed, and to this day Amphy is still trapped in my Poké Walker. I felt and feel awful about it, but I continued to train Ampharos (often girls), naming almost all of them Amphy, partially out of memory of the late Amphy, whom I wrongfully imprisoned. 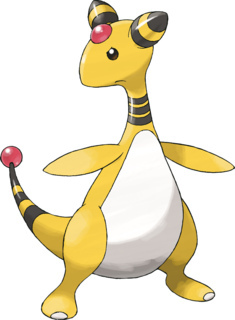 I’ve also learned a lot of things about Ampharos, such as their impressive stats. Ampharos has a huge Special Attack stat of 115, which is seconded by her matching Health and Special Defense stats of 90 each. Yes, she might be slow, with a base Speed of only 55, but her Defense and Special Defense stats more than cover it if you don’t happen to meet any Ground-types. And even then, assuming you’ve planned for Ground-types, you’re totally made! Of course, then there is the beauty of Mega Ampharos. Mega Ampharos has an impressive base Special Attack stat of 165, a Defense stat of 105, and a Special Defense stat of 110. Mega Ampharos even got an extra type, making it an Electric and Dragon-type PKMN! Sadly, there are some downs as well as ups. 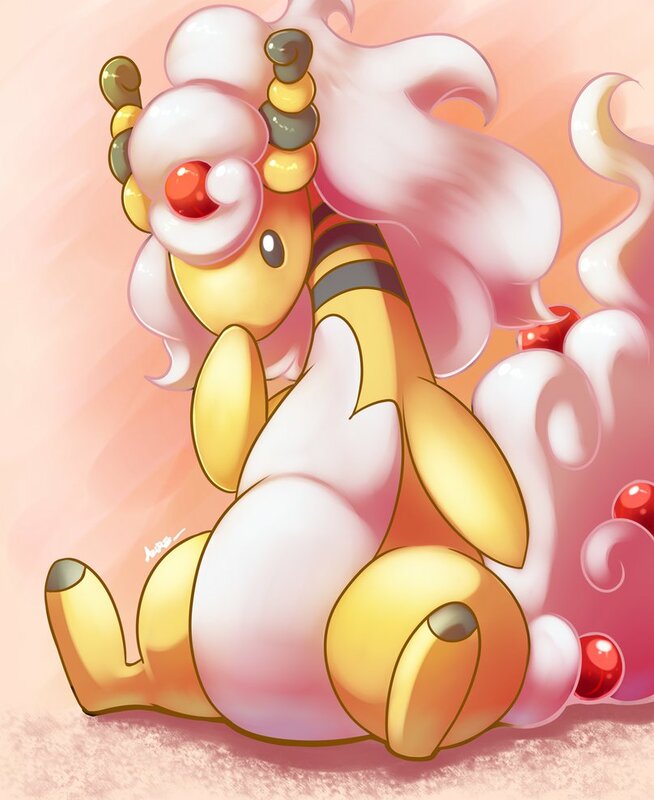 While Ampharos was slow, Mega Ampharos is down-right sluggish with a base Speed of only 45. Also, Mega Ampharos still retains her base Health of only 90; which is fine when you only have one weakness, but not when you have four. With the addition of the Dragon-typing comes weaknesses to Dragon-types, Ice-types, and Fairy-types. By the way, being a Dragon-type during generation six was not a safe thing. Interesting, no? In PKMN Heart Gold and Soul Silver, there’s a light house in Olivine City, which is powered and lit by an Ampharos! Impressive, right? The only problem really comes when the Ampharos becomes sick; I would know, it happened once. I won’t go into the details to preserve the “video game magic”, but it was pretty bad. Anyways, now I have an Amphy that I love, and she and I have managed to do quite a lot together. Of course, even Amphy can’t fight alone. Leader of what, you ask? 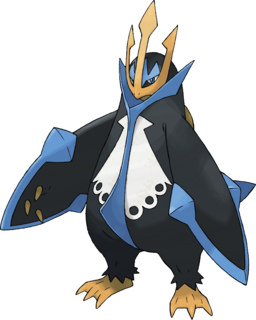 Well, Empoleon and his** two pre-evolutions, Piplup and Prinplup, are all penguin PKMN, and so they live in a waddle in the wild. Yes, a group of penguins is actually called a waddle. A group of young penguins can be called a rookery, and a group of penguins in the water is called a raft. You know, I have an Empoleon, his name is Empo. I love Empo, a lot. He helped me beat my PKMN Platinum game, and later on I raised him up to level 100 (which is the highest level any PKMN in existence can achieve), though he wasn’t always the easiest to love. When I was playing through PKMN Platinum, I came across the Eterna City gym, with its gym leader, Gardenia. I’ll bet all you word lovers can figure out where this is headed. That’s right, Gardenia was a Grass-type trainer, which meant that my Water-type Prinplup had a huge disadvantage. And since I was still (and am still) determined not to catch a PKMN for the sole purpose of a one-time use in a gym, that meant a lot of trial and error against Gardenia, and a lot of losses. However, eventually I did manage to beat her using Empo’s ability to learn Peck, which is a Flying-type move, which Grass-types are weak too. Grant it, it wasn’t the strongest move, but it made due. Empo and I have bonded and been friends ever since, and I think part of the reason why is Empoleon’s power. Empoleon have the base Special Attack stat of 111, which might not be the greatest, but it’s pretty good. He’s also got the Special Defense stat of 101, which is pretty nice too. He does have a base Health of only 84, and a base Speed of only 60, so there are some downsides to him, but Empoleon was one of the few PKMN I wanted very dearly when I first started playing PKMN, and in getting it I became one of the happiest trainers alive. Of course, I love almost everything about Sinnoh, so I suppose I’m a bit biased. Then again, I don’t love just Sinnoh PKMN. 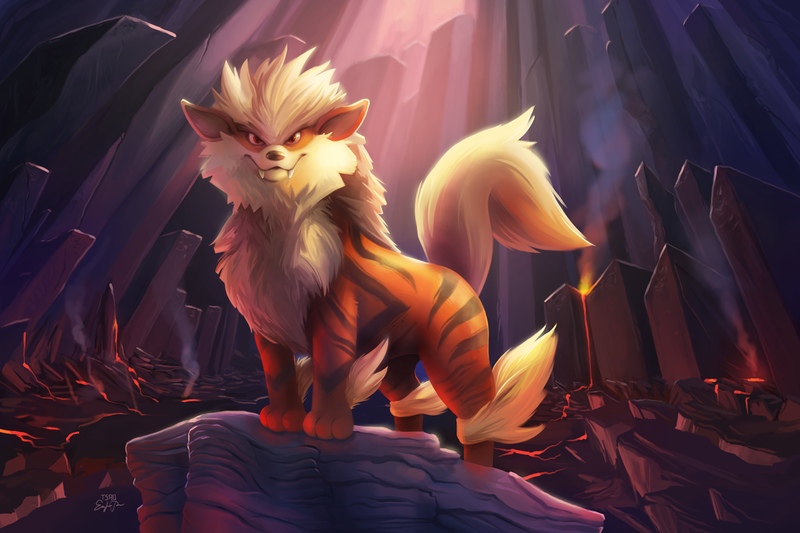 Here is Arcanine, the Legendary PKMN. Not to be confused with a Legendary PKMN. 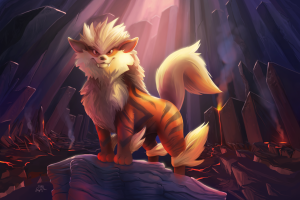 Arcanine is a Fire-type PKMN, with weaknesses to Ground-types, Water-types, and Rock-types, with strengths against Ice-types, Grass-types, and Poison-types. His*** common abilities are Flash Fire and Intimidate, and his hidden ability is Justified. He’s 6′ 3″, and incredibly fast. 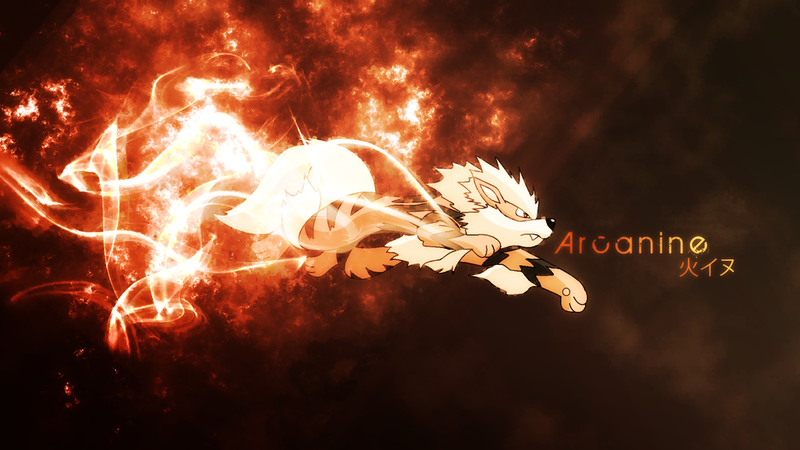 I have two Arcanine that I absolutely love, Arcy and Kay. Arcy is a girl, and Kay is a boy, and ironically, I fell in love with Kay completely by accident. Before we get started, I just want to start off by saying that I love both of these ‘mon, it simply happened that I caught Kay first. Anyways, to the humor that is my time training with Kay. I caught Kay in PKMN Black2, around the time that I beat my first gym leader. I spent a good amount of time training Kay along side my Tepig and Azurill, but I noticed a strange thing. Azurill and Tepig had already evolved into Marill and Pignite, but Kay hadn’t evolved from a Growlithe into an Arcanine yet. I had wanted all of my PKMN to grow at around the same pace, so I had been alternating them so they would all be the same level before they reach another. However, because I wanted Kay to evolve, I decided to just keep him in my front slot until he evolved. He became a really great PKMN, very strong, but he didn’t evolve. 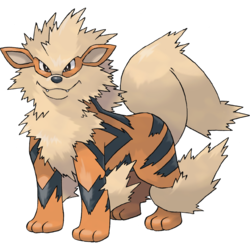 Eventually, after Kay had easily outclassed all of my other PKMN, I finally looked up how to evolve my Growlithe into an Arcanine, and when I did I felt like one of the biggest dummies in the PKMN world. Growlithe evolve using Fire Stone, not by leveling up! All this time, I had been wasting what could have been an excellent opportunity to make all of my PKMN grow together by trying to evolve my Growlithe through leveling. Of course, when I finally evolved Kay into an Arcanine, I discovered that I had a very, very strong Arcanine on my team. So strong, in fact, that when I battled the Water-type gym leader, Marlon, Kay was the only reason I was able to win! I really loved that, found it pretty fun too. After Kay came Arcy, my Arcanine in PKMN Y. I love Arcy to bits, and even though she wasn’t as heavy a hitter as my other PKMN were, she could certainly hold her own in battle. She has the hidden abiltiy Justified, which I also love to bits, because I caught her in the Pokémon Friend Safari. In the PKMN Friend Safari, it can be easier to find PKMN with hidden abilities, like with Arcy. I raised her from a Growlithe, and she became my main, flaming tyrant. Arcanine has fairly impressive stats, what with a base Attack of 110 and a base Special Attack of 100, which accommodates his movepool fairly well in my mind. He has a pretty nice base Speed of 95 (unless you’re like me and foolishly give him a Speed Anklet, which lowers his speed in battle), and a base Health of 90, which means Arcanine is pretty good at standing his ground in a battle and wiping out the enemy, so long as he attacks first. So, what do you all think of my three Favorite Common PKMN? Do you like them too? Or do you find them to be trivial and easy to take down? I don’t really mind what you say, I love them now and hope to always love them. Until next time, merry Pokémonth everyone! *Ampharous have a 50% of being male or female, I am simply being polite. of being female, so you are more likely to encounter male. female, so you are more likely to encounter male.